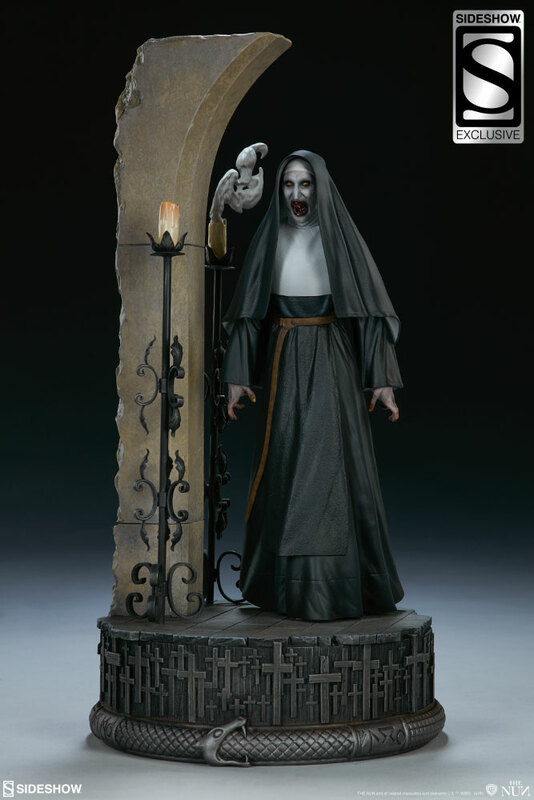 Sideshow collectibles is entering the Conjuring Universe with a creepy statue of The Nun. Standing 13.5 inches tall, the demon Valak is displayed roaming an ancient abbey with intricate circular base, gothic archway and candles. The Exclusive Edition of The Nun Statue includes an alternate portrait of the enraged demon.